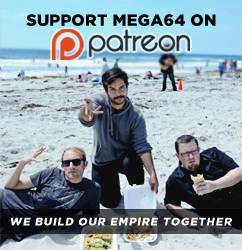 MEGA64 PODCAST 489 - FAIRCAST 2018!!!!!!!!! For real guys, our studio is TOO hot on a Sunday night, so we ditch our special guests (whoever they are idk) to head to the San Diego FAIR!! It's time for another FAIRCAST with plenty of thrills, spills, licks, chews, and BUGS! Click here for the audio version...I would try to watch this one though.